The rapidly changing international energy market has created a number of opportunities for Landsvirkjun. The demand for energy from international businesses is diverse and growing rapidly. Landsvirkjun has responded to this demand by offering competitive energy contracts. The Marketing and Business Development Division purposefully seeks new opportunities in power intensive industries with the aim of maximising long-term value creation. New business opportunities enable the Company to further diversify its customer base for the purpose of minimising risk factors for Landsvirkjun in the future. Landsvirkjun strives to offer its current and prospective customers the most competitive terms in Europe and long-term energy contracts. 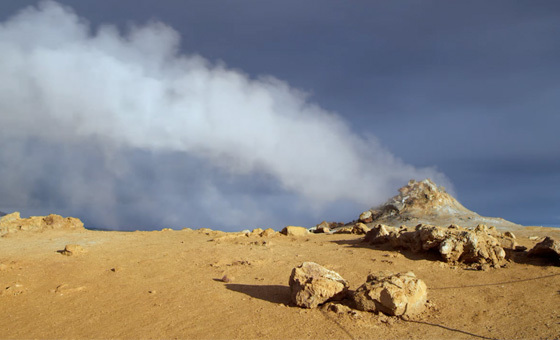 Renewable energy sources in Iceland allow the Company to offer its customers a clear advantage over its competitors who are more reliant on volatile fuel markets. Long-term energy contracts enable businesses to minimise risk factors and electricity generated from 100% renewable resources is rapidly becoming an important component in international business. A new long-term agreement on energy supply was entered into with GMR Recycling ehf and took effect this year. GMR Recycling uses electricity to recycle waste from aluminium plants and other sources and is presently using 8MW of power during weekdays. The objective is to reach 10MW within three years. The energy contract was signed in June, 2012. The German company PCC intends to construct a metallurgical grade silicon metal production plant at Bakki near Húsavík, capable of producing 32,000 tonnes per year. The facility will need 58MW and over 400 GWhr of electricity, annually. Landsvirkjun will provide the electricity for the project and has worked closely with PCC in the last few years. A power contract was signed in the first quarter of 2014, subject to conditions precedent. The construction of the silicon metal plant is scheduled to begin in 2014 and the facility will begin operations in 2017. United Silicon hf. also intends to construct a metallurgical grade silicon metal production plant in Helguvik, capable of producing 21,000 tonnes per year. The facility will need 35MW and over 300 GWh of electricity, annually. Landsvirkjun signed a term sheet with United Silicon hf. in 2013 and a power contract subject to conditions precedent was signed in the first quarter of 2014. Construction of the plant is scheduled to begin in the summer of 2014 and operations in 2016. Landsvirkjun signed Letters of Intent with regard to the main components of energy contracts with several other companies in 2013. Landsvirkjun is currently involved in serious discussions with a number of other companies. The uncertain global economic environment has delayed the decision making process in businesses worldwide and has slowed down the development of numerous projects. However, many businesses are preparing to proceed with projects once the economic environment improves. The outlook for 2014 is unclear but Landsvirkjun is confident that the demand for energy will exceed supply, once the international economy recovers. This year, work continued on marketing Iceland as an advantageous location for diverse power intensive industries. Landsvirkjun’s customer base has increased in the last few years and new customers within new industries have chosen to begin operations in Iceland, as a result of long-term energy contracts and the security of supply. The World Economic Forum has assessed the security of supply in Iceland as one of the most reliable in the world. Of the 148 countries assessed, Iceland achieved the 3rd- 9th position. Source: The Global Competitiveness Report 2013-2014. The marketing drive this year included advertising via the web and printed materials, participation in various conferences, meetings, a new website and more. Marketing measures also included the production and distribution of promotional videos, shown at various locations worldwide. International data centers are a prime example of a new industry in Iceland and Landsvirkjun believes that Iceland is a particularly suitable location for this type of business. Competitive energy contracts, a continuously cold climate, a strategic location between Europe and the USA are just some of the advantages offered by Iceland. Two international data centers are already in operation in Iceland and Landsvirkjun’s marketing efforts focused on expanding the customer base in this sector. Energy contracts with current customers ensure a solid revenue base for Landsvirkjun. 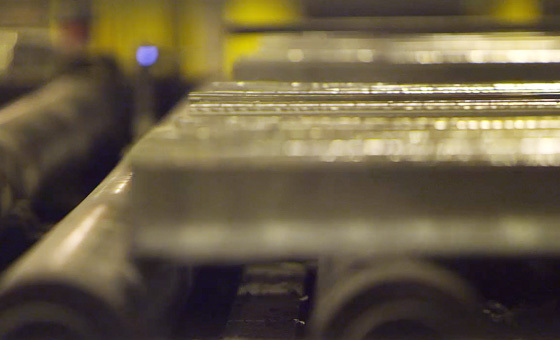 Landsvirkjun’s largest customers are three aluminium companies that purchase approx. 75% of the Company’s production. This year, new conditions were outlined for wholesale electricity dealers. Landsvirkjun hopes to implement new conditions within the next three years. New contracts were signed with wholesale customers at the end of 2013. 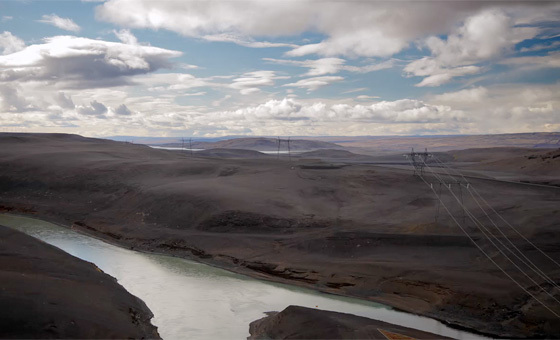 Rio Tinto Alcan in Iceland informed Landsvirkjun of a change to the scope of its upgrade project for the company’s aluminium plant in Straumsvik, Iceland. The initial plan anticipated that the annual production capacity of the aluminium plant would increase to 230 thousand tonnes. However, an increase to 205 thousand tonnes is now anticipated. In light of this, it is likely that the power needs of the aluminium plant will be less than originally expected. Contract amendment discussions could take place with Rio Tinto Alcan in the near future. The changing landscape of energy markets has created new opportunities for Landsvirkjun. The demand for energy has increased rapidly in the last few years alongside historically high energy prices worldwide. The next few decades will see ongoing, increased demand especially in developing countries, seeking out a better quality of life. Over half of the electricity produced worldwide comes from burning coal and gas and the percentage is expected to remain high in the coming years. Coal and gas prices generally set prices within the electricity market. Increased demand will likely push the price of gas and coal upwards and subsequently increase electricity prices worldwide. More stringent measures on greenhouse gas emissions will also result in higher electricity prices. The price of coal and gas is not uniform worldwide and this is evident in the competitive market for electricity. The relatively new technological advancement in American shale gas production is a prime example of this as gas prices have reached a historical low, resulting in lower electricity prices. However, the International Energy Agency believes that the technological advancements in the USA will not significantly affect markets elsewhere and the USA will be at a distinct advantage, with regard to cheaper gas and electricity, in the near future. Rising electricity prices worldwide and persistent energy-price disparities between markets increase the demand for electricity in Iceland. 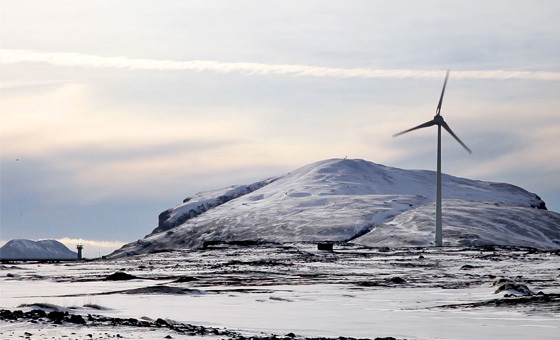 Landsvirkjun generates all its electricity from renewable resources. The production costs for renewable energy are predictable and are generally independent of the price fluctuations associated with coal and gas. The Company’s renewable energy production is also protected from the potential rise in costs related to greenhouse gas emissions. These factors enable Landsvirkjun to offer 12 year energy contracts at $43/MWh (indexed) with the option of a reduced rate for new, long-term investments. These terms are amongst the most competitive in the world. Analyses suggest that all-in electricity prices in the UK and mainland Europe will further increase in the next few years. Many countries within Europe are concerned with energy security and are willing to enter into long-term agreements to ensure their future electricity supply. Even now, the British government is open to negotiate fair prices for renewable and nuclear electricity generation for 15 to 35 years. Ensuring access to markets for Icelandic guarantees of origin remained a key focus in 2013. Trading began with the Netherlands this year and Germany approved Icelandic guarantees of origin in the autumn. Work continued on building Landsvirkjun’s contact network in the sector. Subsequently a Company representative was accepted both into RECS International and the World Resource Institute, a non-profit and leading organisation in the field of worldwide renewable energy. The market prices for guarantees of origin have fallen consistently throughout the year despite increased demand, in part, because supply has increased due to an increasing number of companies offering guarantees within the market. The Marketing and Business Development Division will concentrate its efforts in the near future on strengthening Landsvirkjun’s position within the international guarantees of origin market. The green certificate market is relatively new and limited to Europe. The market is still developing but preliminary assessments imply that the sale of green certificates could increase Landsvirkjun’s profits considerably in the coming years.